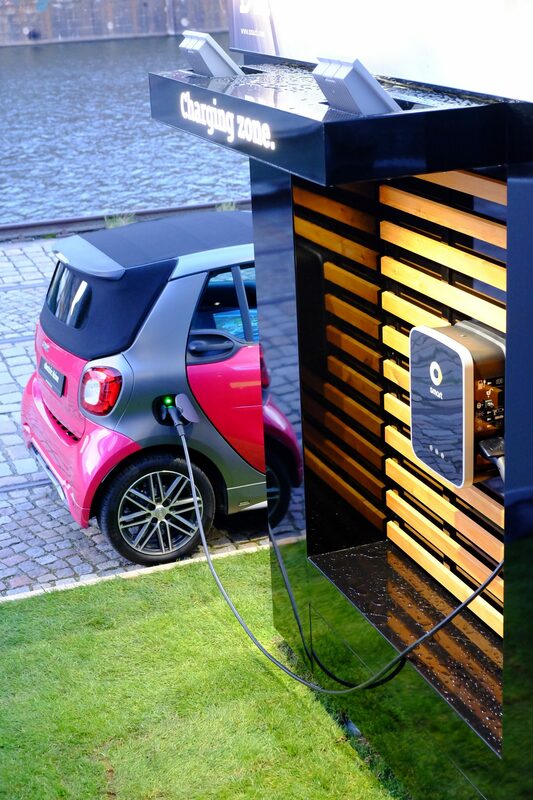 When you think of electric cars, you automatically think of charging stations. 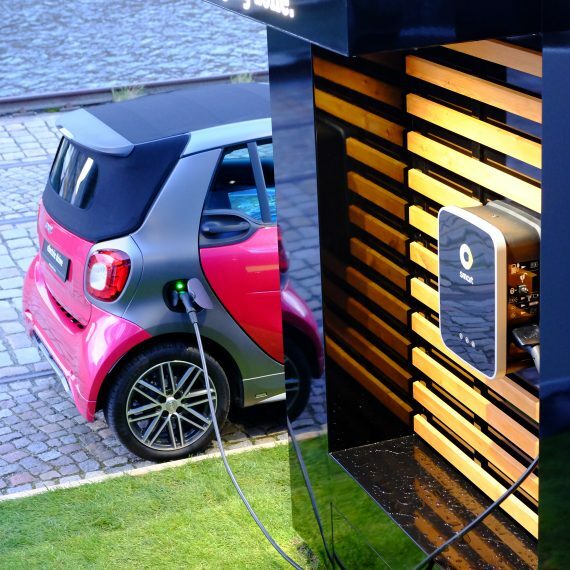 That’s all the more reason to have a charging station that goes beyond merely supplying energy and sends the right messages to potential buyers. 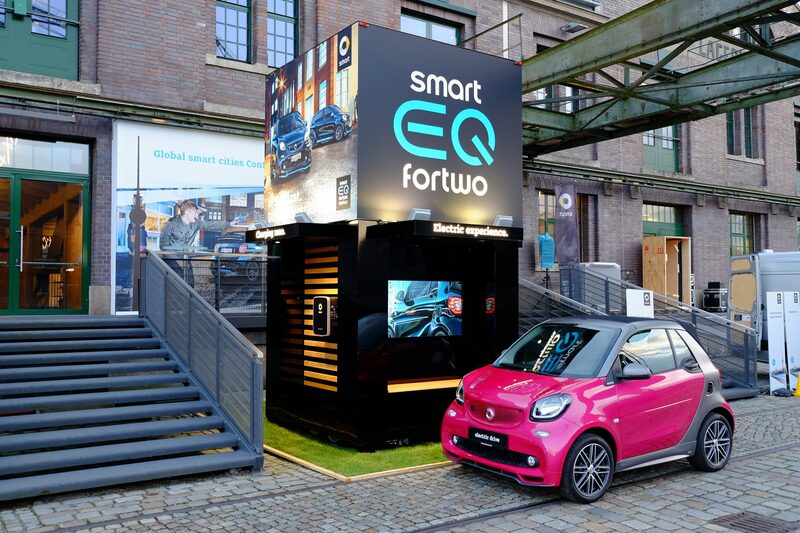 The mobile charging station commissioned by smart was presented for the first time at the Global smart cities conference in Berlin in 2018. 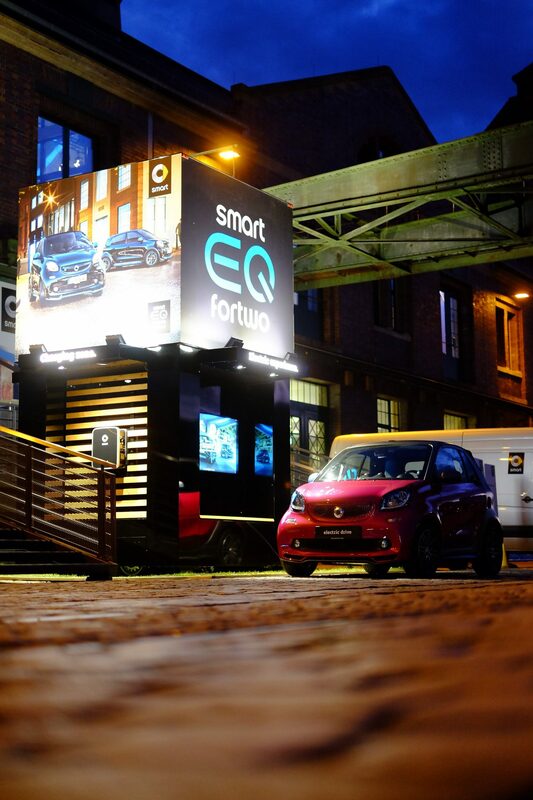 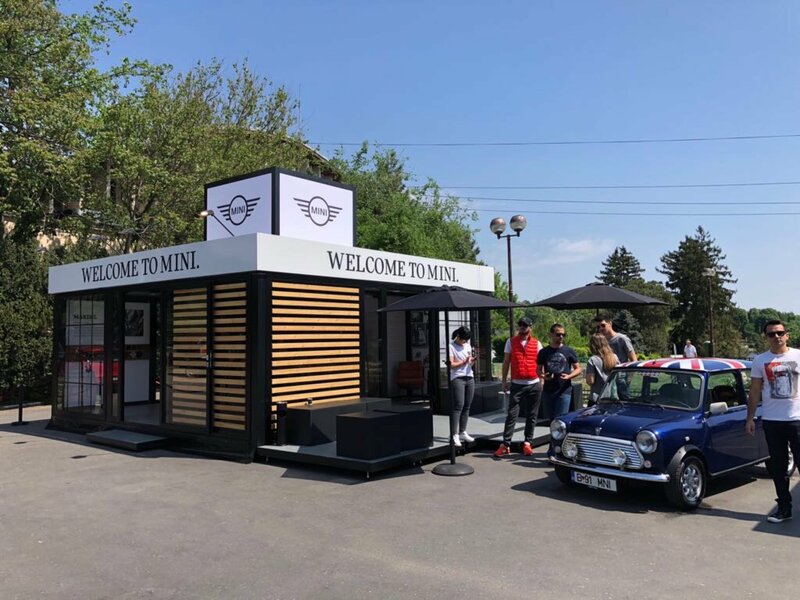 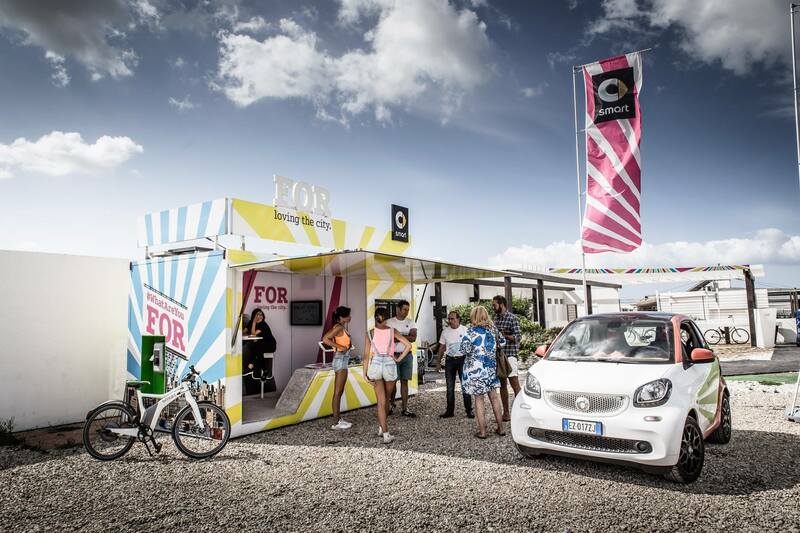 The charging station we developed is a compact mobile brandspace that reaches out to potential customers directly in their urban environment. 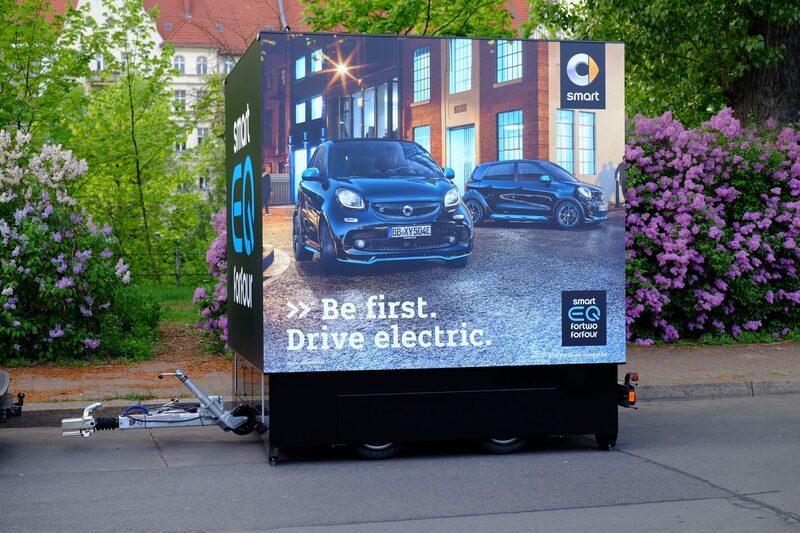 Whether in pedestrian areas, shopping streets or at events – with its trailer design, the sturdy mobile charging station is flexible to use and easy to transport. 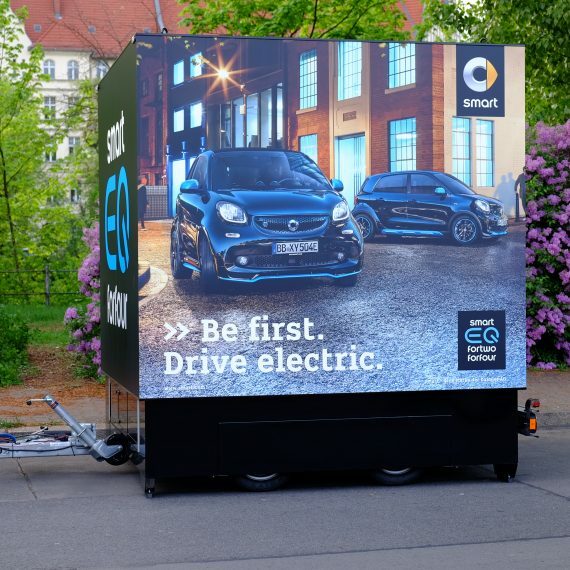 In the desired location, simply lower the trailer with the built-in hydraulics, cover the wheels and raise the hood. 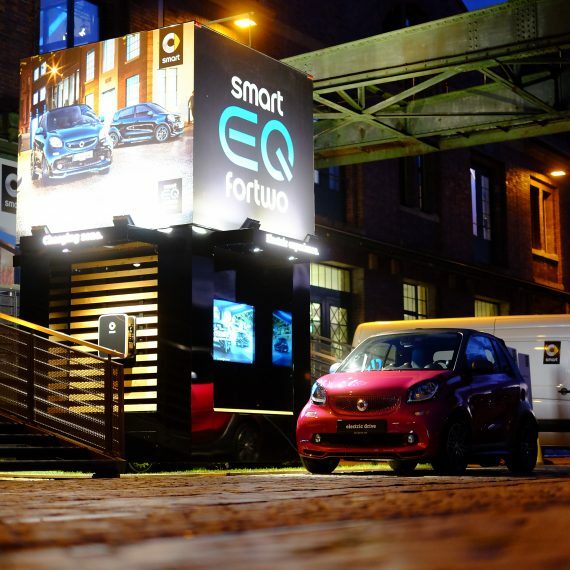 Once the lights are affixed and the power connected, the height of 4.50 m makes the long-distance effect simply outstanding. 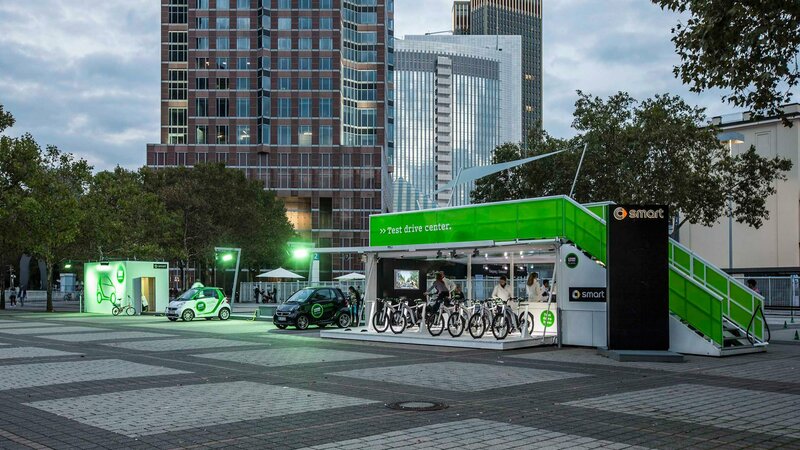 Two electric vehicles can be charged at the same time via two wall boxes attached to the sides of the mobile charging station. 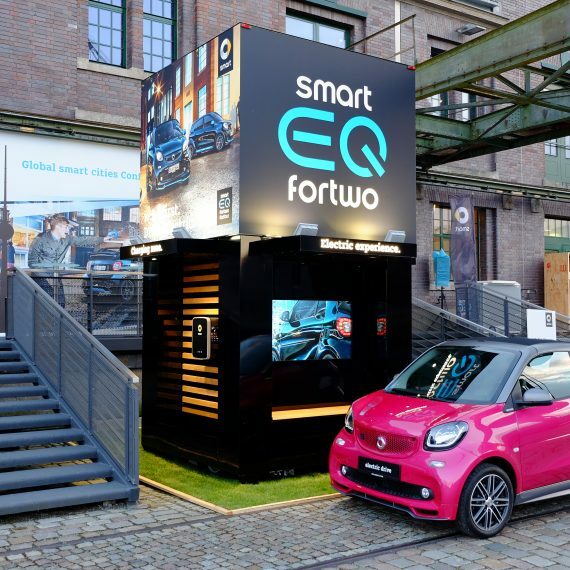 An explanatory film plays on an integrated screen that is visible in daylight, with which the promoters can perfectly explain the subject of e-mobility.